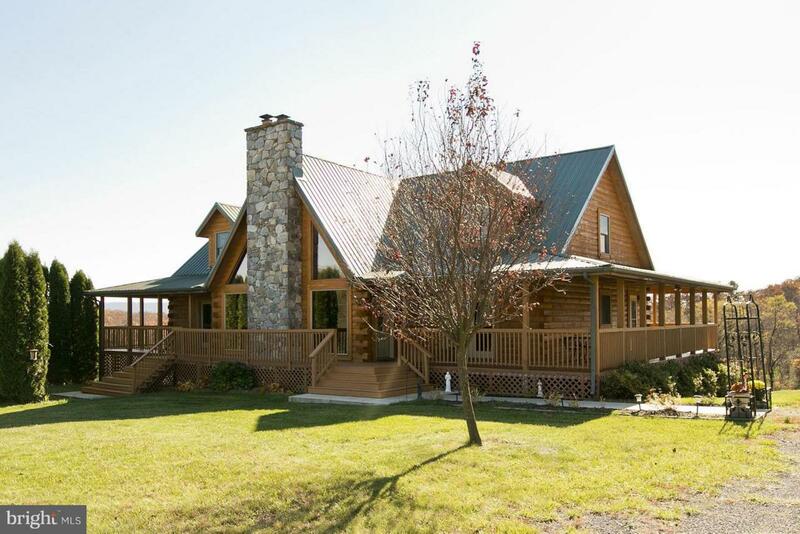 Leave the city behind and enjoy your custom built log home with exquisite views! Peaceful and quiet 5 acre setting for this beautiful 3 level home. Just off the "beaten path," this home is in immaculate condition. The open floor plan and cathedral ceilings, along with the covered porch that wraps around the entire home are incredible! 3rd main floor bath is in the shop. Don't miss this one!! !